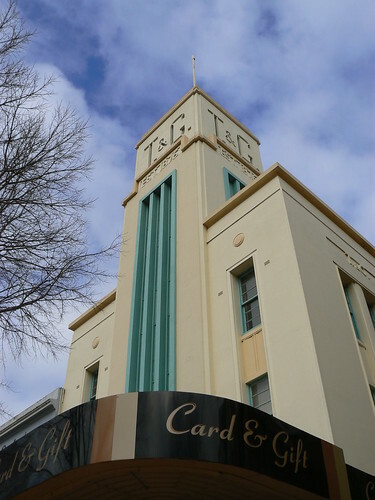 The T&G Building in Dean Street is one of the stand-out Art Deco buildings in Albury. 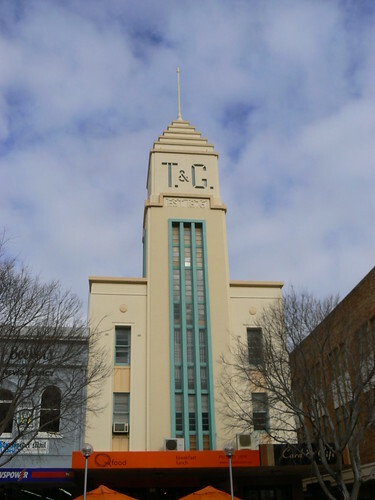 The original two-storey portion of the T&G Building replaced an eariler shop in 1935 with the tower and front portion added in 1940 to designs by A & K Henderson & Partners. Very classy building! The most impressive part of the Albury site are the grand windows in the centre of the tower. Do those windows light up a stair well? Offices? 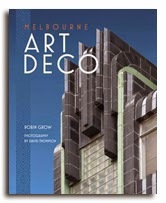 I thought that elements of the T & G Building in Albury were familiar to me. Especially the square tower with the distinctive T & G logo. But I was thinking of T & G in Mildura. 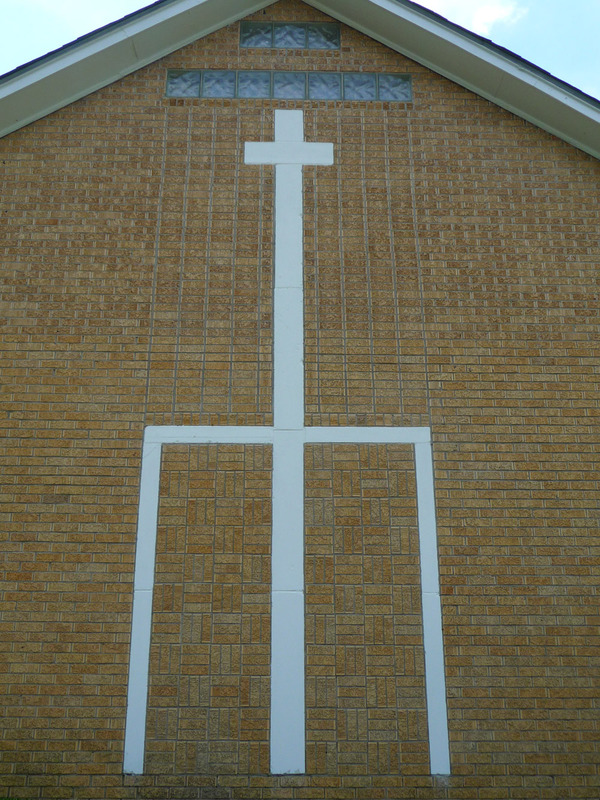 The logo is of course the same, and the top of the tower is identical, but the Mildura windows are horizontal instead of vertical. The tower with the T&G logo is certainly part of the company's corporate architecture style. 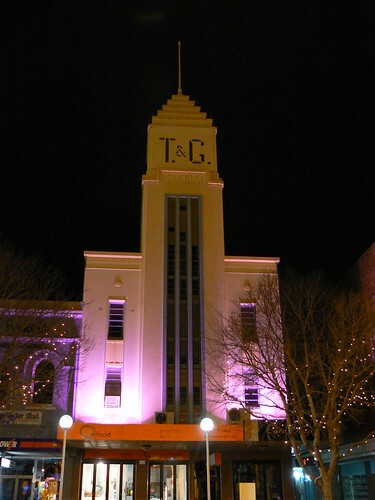 The Horsham T&G Building is even more like the Albury one but has incorporated the T&G logo into the clock face. T&G Buildings around Australia took on a brand identity with many being of a similar style. Sadly the Townsville T&G was demolished a few years back for redevelopment. The land is still vacant and is used now as a car parking bay! How short-sighted! Too many city buildings knocked down to become car parks and not just Townsville, it happens everywhere.